Some very useful information there especially with the dimensions too. Now Jim, I want to see some results! The Engine shed for Hemyock has just been started and a few parts are laying on the cutting mat now waiting assembly. 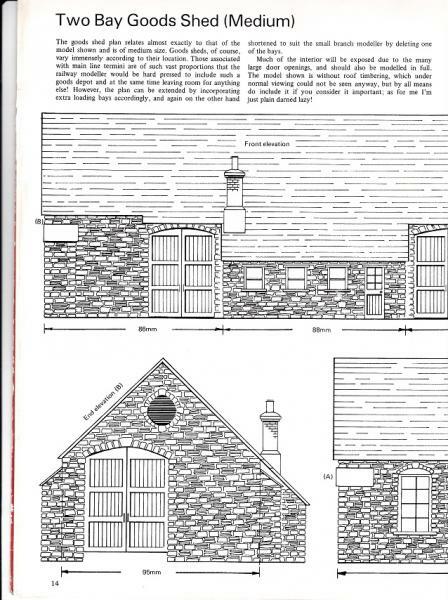 It was good to see that my 'guesstimate' measurements from the photographs are very close to those on your drawing so at least it will look in proportion.As it will have an internal framework like the Carriage shed it is not going to be a quick job, that last one took several weeks. Hi Jim, isn't that always the way?! 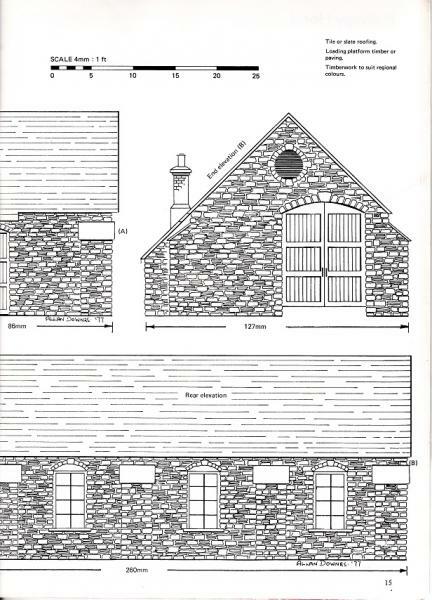 Wasn't Hemyock E/S built out of timber where the front had to be 'sliced' off at one corner in order to faciliate the Dairy siding? 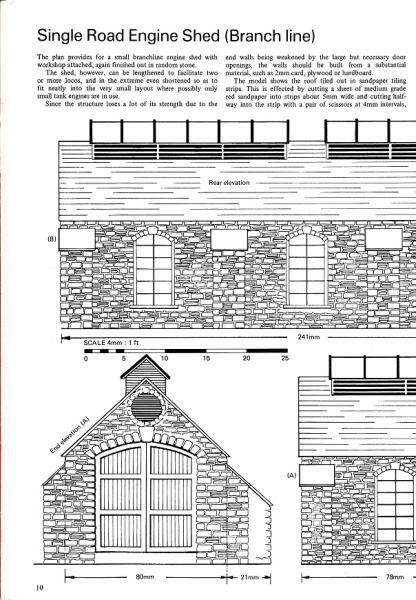 Anyway, my guess Jim is that you're following the early track plan - short run round loop, engine shed which was later removed I believe, and a proper brick built goods shed also later removed and replaced with some kind of galvanised apology on stilts! - but that's what Hemyock is/was all about - more character than the entire GWR network put together! 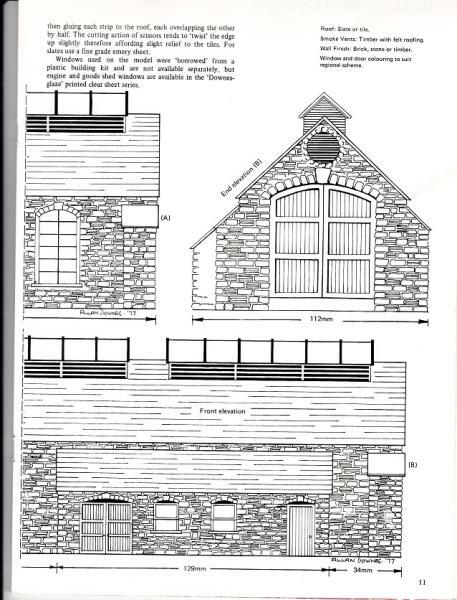 - Oh, and all pre the concrete block extension I presume that was totaly out of character with the rest of the building, and not to mention that magnificent staircase up to the platform at the rear of the station - three loose standing breeze blocks!! Anyway Jim, let me know when it's finished cos I'm coming round to see it - invited or not!! Yes, you are right about the shed, that corner and the unusual doors are what makes it a fascinating little model to make and of course the early layout has more character than the later one with its modern carbuncle. As for a visit you are more than welcome when it gets close to completion, possibly later next year.